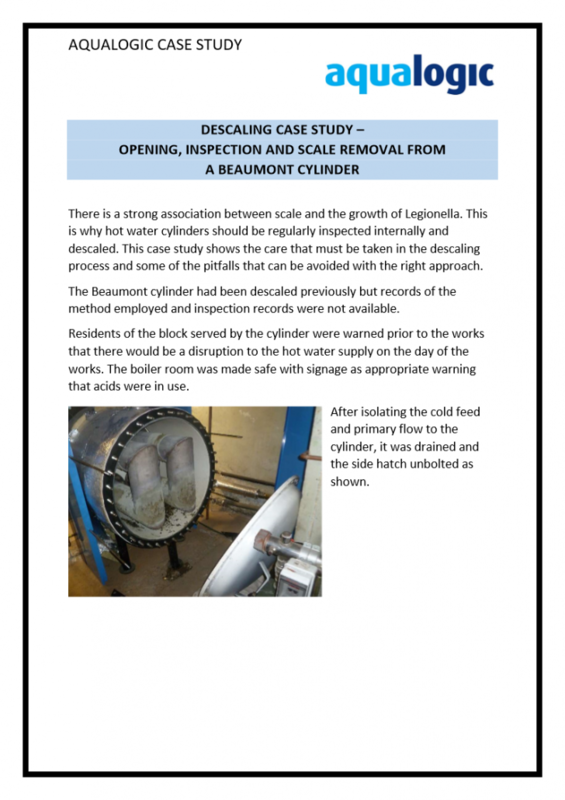 We are often asked to deal with calorifiers and direct water boilers where there is little or no record of cylinder inspection or descaling. While there is a great deal of emphasis on the visible surfaces of cold water tanks, the hot water system is frequently neglected, despite the clear guidance given by HSE. While more difficult to access and clean than cold water systems, calorifiers will often pose a higher risk of Legionella growth. This is due to high levels of scale in a part of the system where water is at a temperature favourable to the growth of Legionella. The strong association between the growth of bacteria, levels of scale and its negative impact on your overall water system hygiene is made clear throughout HSE’s HS(G)274. Scale also reduces the efficiency of your hot water system at heat exchange surfaces. Where possible we will open cylinders for inspection prior to any works. This allows our customers to assess the level of the problem and make decisions about immediate action and future maintenance programmes. Where scale is found, this can be removed through a combination of manual removal and acid circulation. Regular plant inspections ensure that your water system continues to run safely and the control programme remains effective. Depending on the level of risk, we may suggest that these are carried out on a monthly, or six-monthly basis. 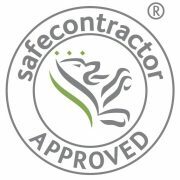 Aqualogic carry out site visits and conduct detailed risk assessments to give an accurate estimate of the risk posed by Legionella bacteria to that site. Testing involves the collection of water samples for thorough analysis, prior to developing a detailed report that indicates your risk factors. Scale is deposited as water heats up, meaning that calcium carbonate will form on and around heat exchange surfaces. Signs of a hot water cylinder suffering from high levels of scale include a reduction to water flow, fluctuating and lower than normal water temperatures. In the most extreme circumstances, a large buildup of thick layers of scale can all but seal off your water flow. Aqualogic specialise in the removal of scale with the use of mild acids and mechanical cleaning. Descaling your hot water cylinder not only considerably reduces the Legionella risks posed by the often inaccessible surfaces of it, but it improves energy transfer, thereby increasing efficiency and reducing building costs. Contact us if you have concerns about the level of scale in your calorifier or hot water cylinder.